When I had been dating my husband for a couple of years, I hit a point at which I wanted to marry him so badly I almost stopped enjoying just being with him. I remember catching myself one day and thinking, "What does marriage represent? Why do I want this so much?" The answer didn't just provide clarity—it presented me with the key to real happiness. In order to be happy in the moment, I needed to find evidence that what I wanted already existed. I realized I wanted to marry him so we could be together. But we already were together. So instead of focusing on how much happier I'd be once we were engaged, I decided to try to ease up and work on being fully present when I was with him. I wanted to find the joy within myself instead of waiting for a ring to deliver it to me. The funny thing was, I think my change in attitude impacted our relationship for the better—and before I knew it, we got engaged. 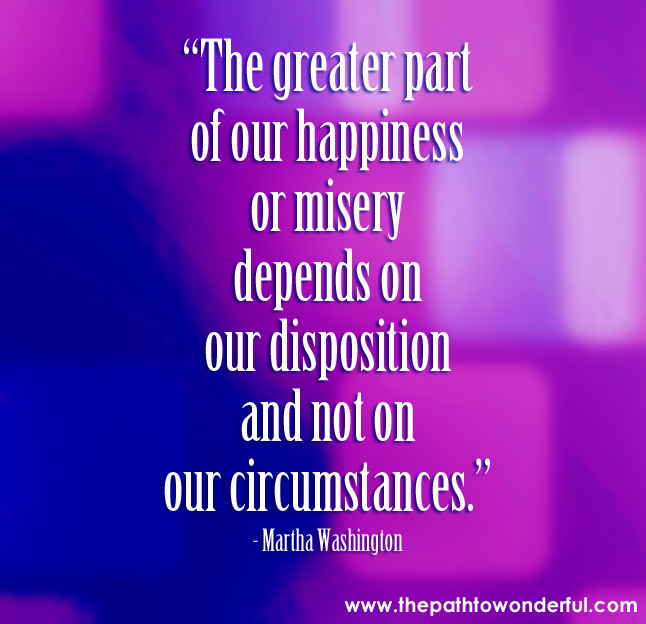 It's easy to fall into that trap where we think happiness is determined by external circumstances. "I'll be happy when I have a boyfriend (or girlfriend!)." "I'll be content when I have a new job." "I'll be confident when I lose 10 pounds." But the truth is, it's not the externals that create the long-term feeling. In fact, the magically wonderful external circumstances we want actually begin with the feeling state inside of us. Think about it: When you're at your worst—totally unhappy about being single or hating your job or berating yourself over your muffin top—what are you projecting into the world? Who are you in those moments? Who are people seeing when they look at you? My guess would be a sad or angry person who doesn't treat themselves very kindly. And if I'm a bachelor or bachelorette, an employer, or stranger on the street, I'm probably not going to be all that attracted to you when that's the vibe you're emitting. By putting conditions on your happiness, you not only deprive yourself of joy in the present—you knock yourself out of alignment with what you want most in the future. 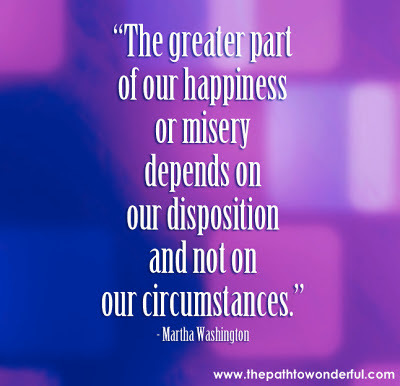 I've shared some of my experiences on this blog about how things turned out when I put my happiness first and just surrendered to my circumstances. Somehow, magically, everything fell right into place. Had I let myself stay in an "I'll only be happy when" space, I would have probably shortchanged my life on a few different levels. What I'm trying to say with all this is: Don't let the things you haven't achieved yet prohibit you from experiencing happiness NOW. Find what feels joyful and run with it. Find evidence that what you want already exists—that you already have it, just maybe in a different form. Over the weekend a couple friends and I were out together looking for a going away gift for our yoga instructor. We went into a small shop and no other customers were there so we were able to talk with the shop owner for quite some time. We talked a lot of Eastern culture and spirituality and somehow got onto the topic of happiness and "things." He told us something I will never forget, and that I think I will always use. We get these ideas of things that will make us happy, like a piece of jewelry, a car, even a small trinket from his shop. He said "You cannot think of this tiny statue as the thing that will make you happy, because it will not. You will love it for a while, bring in home, and before you know it it is collecting dust and you are still not happy. The tiny statue did not change, it is exactly the same as it is here in my store today. It was you that changed, that attached your happiness to this thing. Things outside yourself cannot be a reason for happiness, but rather simply reminders that you find the happiness inside you; that it is always there, tiny statue or not." There's nothing like a total stranger reminding you to ask "why?" I wish I could have stayed and talked with him all day.